BOSTON (CN) – A coalition of airlines seeking an exemption from a state mandate filed a lawsuit claiming Massachusetts’ sick-time law is unconstitutional and contributes to flight delays and cancellations. Represented by attorney Robert Siegel from Los Angeles-based O’Melveny & Myers LLP, Airlines for America claims the Bay State’s mandate for earned sick time curtails the airline industry’s ability to monitor and prevent abuse of sick leave, which allegedly results in significant spikes in flight and ground crew absences and culminates in delayed and cancelled flights. “Because the burdens on operations imposed by the earned sick-time law substantially impact airline prices, routes and services, the law is both unconstitutional and preempted by the [Airline Deregulation Act],” according to the complaint filed Wednesday in Boston federal court. Massachusetts’ earned sick-time law requires employers to provide a minimum of one hour of earned sick time for every 30 hours worked by an employee, up to 40 hours per year. The 24-page complaint notes that airline workers already receive generous sick leave from their employers and Massachusetts law conflicts with carefully negotiated provisions in collective-bargaining agreements with union representatives. The earned sick-time law also interferes with member airlines’ enforcement of nationwide attendance and reliability policies, according to the lawsuit. In addition, the suit notes that flight crew employees spend most of their work time in federally regulated airspace, not in Massachusetts. Washington, D.C.-based lobbying group Airlines for America says its members and affiliates account for more than 70 percent of the annual passenger and cargo traffic on U.S. airlines and provide more than 450,000 full-time equivalent airline-industry jobs. The group’s member companies include Alaska Airlines, American Airlines, Atlas Air, FedEx, Hawaiian Airlines, JetBlue, Southwest Airlines, United Airlines and UPS. Its lawsuit seeks a permanent injunction prohibiting enforcement of Massachusetts’ earned sick-time law against airlines with respect to their flight and ground crew personnel. As an example of the problem, the lawsuit states, one of Airlines for America’s member airlines shut down a flight attendant base because compliance with a local jurisdiction’s paid sick-leave law triggered an accelerated increase in the number of sick calls, which disrupted operations. “Compliance with every state or local sick leave law imposed by jurisdictions in which A4A member airlines operate is nearly impossible, and even if it were possible, it would be extremely burdensome,” the complaint states. The lawsuit’s lone defendant is Massachusetts Attorney General Maura Healey. A spokeswoman in her office declined to comment. Airlines for America contends the state law imposes an hourly sick-leave accrual rate, whereas flight and ground crew personnel often accrue sick leave in ways that are not easily converted into hours worked. According to the complaint, in exchange for the airline employees’ bargained-for benefits, the airlines typically reserve the right to monitor employee attendance and reliability to ensure compliance with federal regulations governing leave and rest requirements and aviation safety, and to maintain the appropriate level of staffing for on-time departures of flights. 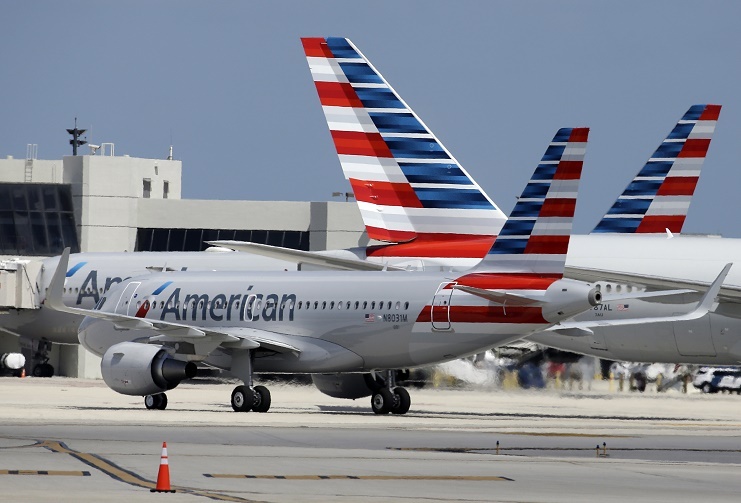 Airlines for America seek a declaration that the Massachusetts earned sick-time law is preempted by the Airline Deregulation Act because it adversely affects air carrier prices, routes and services. The case has been assigned to U.S. District Judge Allison D. Burroughs.